I've been blogging over at Our Sleeping Flowers these days. Still me, and still delicious, come join me! I know it seems unrelated to food, but the health of your skin (and every organ) has everything to do with food. The best way to nourish your skin is from the inside out. Does the old adage, "you are what you eat" come to mind at all? Today, I want to talk about what you put on your skin, or rather, what I put on mine. sit back, and let's get hippie. A few years ago I made the decision (and began making gradual changes) towards using more natural skin products. 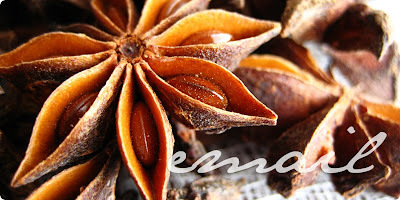 The mantra I chose when deciding what to use was basically, if I could eat it, rub it on. It seems a bit extremist, but it was a principle of letting only the purest things touch my body, because it's sacred to me, and since I try to only allow the purest things on the inside, why not on the outside too? Before I made the decision, I was using products I believed to be the best. They were expensive, elitist, full of ridiculous amounts of chemicals, and they worked pretty well with a few exceptions I attributed to certain times of the month and things like camping, etc. Even if those skin products had nothing to do with my occasional bad skin, now that I have made the switch to more natural products, I like my new skin better. It's so much happier. I very rarely break out, and when I do it has consistently followed the consumption of certain foods, so I know the culprit, and it's not aunt flo. Now is where coconuts come in. When I was pregnant I rubbed coconut oil and 100% cocoa butter on my belly, breasts and rear. sorry for the visuals. I came away from that pregnancy with minimal stretch marks, and the ones I did have healed quickly as I kept using the oil and butter. I know different body types and skin types react differently to the stretching that happens during pregnancy and nursing, but I think both eating + externally using the oils that I did helped my body to cope with them much better. We have tried a lot of different skin products + remedies. Some we liked; others we hated; and we are still searching for our favorites. As of today, here's what we're rubbing on our skin. facial cleanser. At the moment, we are using (and loving) desert essence thoroughly clean face wash - i love the smell, the feel, and everything it doesn't contain. For my bad skin days (which are much better than they used to be), I dab tea tree oil on my red spots with a swab after cleaning and moisturizing my face before bed. In most cases they are gone by morning. As a facial moisturizer We have used brands like kiss my face and avalon organics (loved both, but pricey), and I recently made the switch to using virgin coconut oil. After the first few days it stung my skin pretty badly, but thankfully, it has just started to taper off, although I find myself needing to re-moisturize more often than just my morning and night routines. Has anyone else using coconut oil as a moisturizer had these issues? I'm open for suggestions here, what do you use on your face? body cleansers. I have always been in love with traditional handcrafted soaps made with minimal ingredients. My favorites are from locals, and made with goat's milk and yummy smelling oils. Some that I have used include creamery creek, beehive soap + body care, and others i can't remember the names of. As for body moisturizers, I have used cocoa butter, coconut oil, and we switched to grapeseed oil for a while until it ruined everything. Our bedsheets, underclothes, anything white. We switched back to using regular lotions (thanks costco!) and bought new linens, but are on the hunt for an affordable + natural compromise. again, suggestions? lips. I love chapstick. I've never been a lipstick person, and was addicted to burt's bee's for years until I found local and more natural options. My current favorite is beehive soap + body care's orange bliss lip balm. Compared to what my regimen was those few years ago, our new one is cheaper, better for my skin (it is much more vibrant than it ever was while using the expensive + "better" remedies), includes better food, it's better for a lot more people + things other than just me (read: world), and it simply makes sense. Of course I made (and still make) exceptions when it comes to certain products (anything from the body shop is my favorite) and I didn't throw anything out as we were making the switch. We used up what we had and when we needed more cleansers or lotions, I'd make different choices. So. what is your skin regimen like? are you a clinique face? do you eat certain foods to benefit your skin? have you tried using natural oils? what is your favorite smell good lotion? 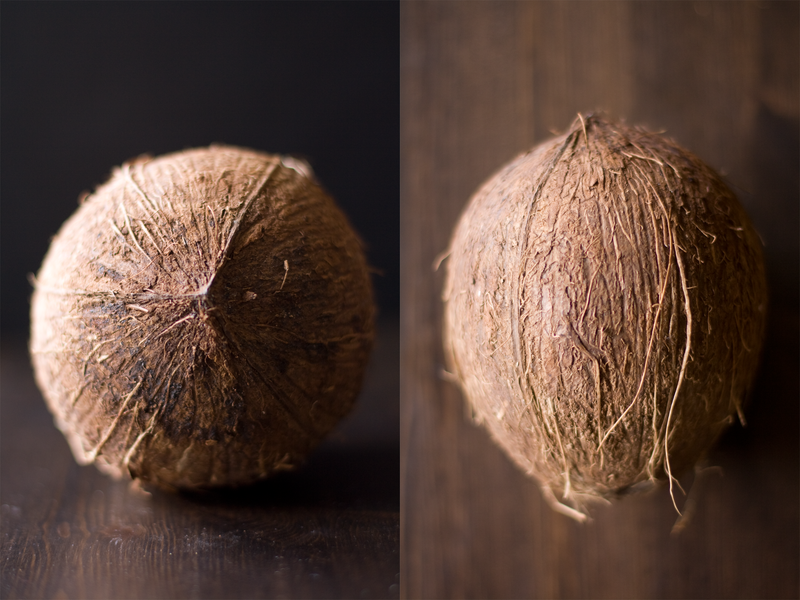 today's zupas post about the incredible edible coconut. take note: I speak from my own experience, observations and research. I am not saying what works for me will work for you, but why not try it out? little by little. I've used coconut oil as a moisturizer before (miracle product, it is! ), but I feel it's best for only especially dry areas, and not generally great to use on my face. It's just too oily. I'm still searching for a good moisturizer, but for now I'm using up my Oil of Olay from Costco. As for lips, I'm all about Burt's Bees and C.O. Bigelow. What you use seems like a good option and I love the fact that it's local. For keeping my skin clear on a regular basis, I've found nothing better than a real (and really intense) facial. Not one of those relaxing facials from the Aveda salon in University Mall, but healing one with extractions and bacteria-killing serum. There is a lady I go to in Provo who is seriously amazing. A healer. I think I loved reading this post more than I loved coming up with suggestions--which unfortunately I don't have many of in this department. Although healthy eating has improved this is definetely a great reminder that I can always do more. Thanks for the inspiration!! ok. this may be a stupid question. do you actually put the coconut oil, that you use for cooking, on your skin?? i'm a cetaphil girl right now, i was using clinique for awhile and i use aveeno spf30 during the day. i've been thinking a lot about this lately, so this is good motivation for me to make some changes. i have 5 bazillion stretch marks from my last pregnancy, so this time i've been using basa body's coconut oil body stick, and i haven't seen a single new mark. we'll see how long it lasts, since i'm horribly prone to stretch marks, but it still feels better than stinky, chemically stretch mark lotions. thanks for the great post! local natural cooking class: brunch!